This workout is designed to help you get ready for the tough mudder course, which is one of the most intense obstacle course series on the planet. This event is hosted in cities across the U.S. and Canada and some other parts of the world. The tough mudder workout is a very intense exercise workout, so the phenom fitness preparation workout is an equally intense exercise workout. The directions for this tough mudder workout are listed below. Make sure you keep very hydrated during this tough mudder workout and since it is as intense of an exercise workout as your going to get, take breaks if needed. 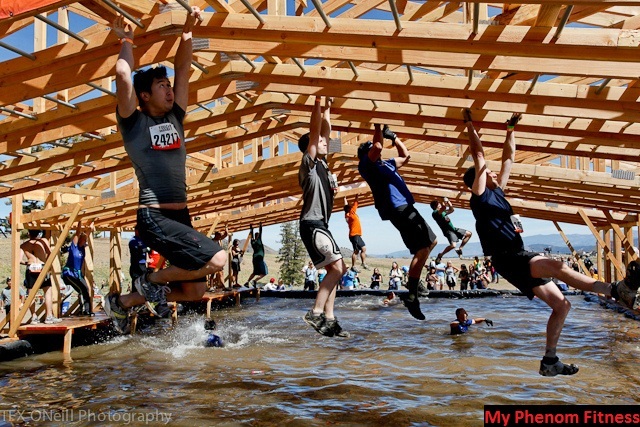 You have just completed the tough mudder workout! We also suggest running a couple miles outside of the gym a couple times a week for additional exercise. The tough mudder course is challenging but also very long, over 6 miles long in fact. So get your running in and get into shape for your the tough mudder event!